I have shared before how much my girls love any kind of collectible toy, even more so when they are small enough to fit inside their pocket! For that reason they are big fans of Shopkins and have accumulated a huge collection over the last two years. 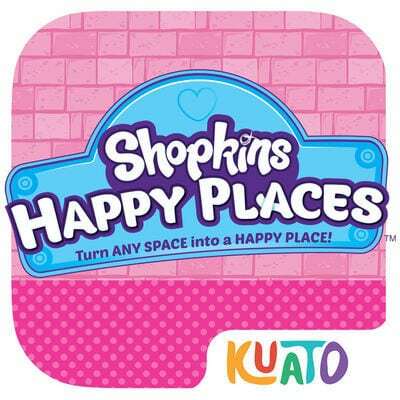 When we discovered the all new Shopkins app from Moose Enterprises and Kuato Studios, the girls were super excited. I shared their excitement when I discovered that, unlike many of the apps they ask me to download, this one is free!! 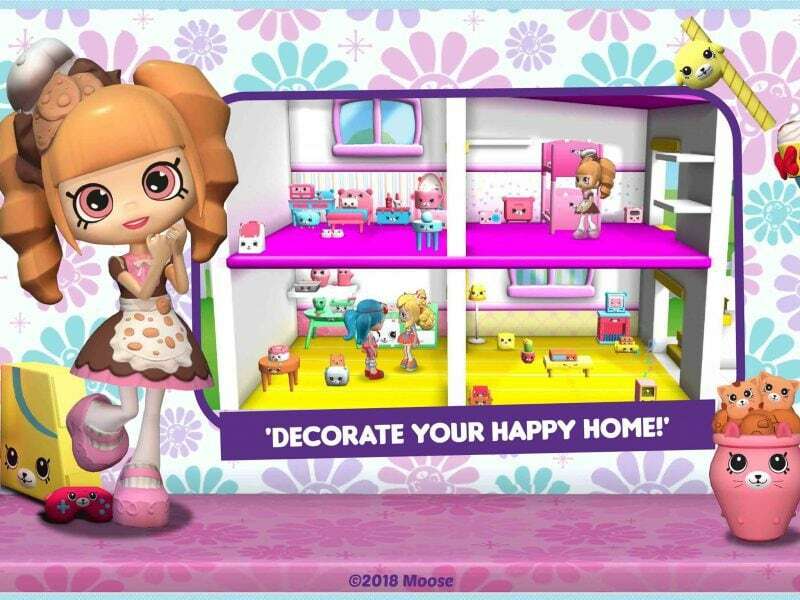 The Lil’ Shoppies are moving into Happyville and need your help to make it a Happy Home, something which my girls were all too happy to help with! With the app aimed at ages 5-8 years my girls are the perfect age to really enjoy this game, and after downloading it for them they got to grips with it almost instantly! Once in the game the player designs their Happyville house by collecting Petkins, which are cute furniture and house hold items, to position around the home. The app gives instructions on how to do this, with easy to follow arrows showing you where to tap or drag the items, so you can really create a unique and stylish home! 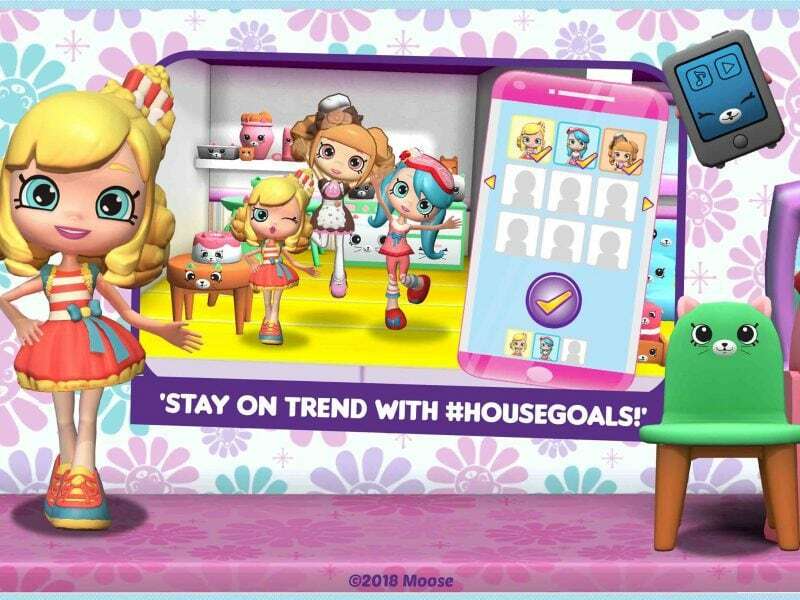 Once you have placed all of the Petkins you can play in the home with your Shopkins character, Lil’ Shoppy Jessicake! 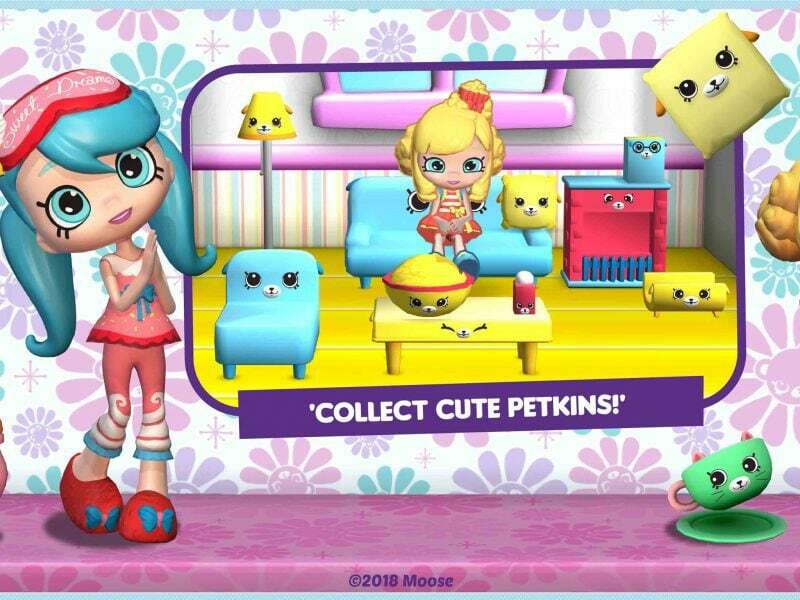 You can also earn more Petkins, Happy Places and Lil Shoppies Characters (Poppette, Coco Cookie and Bubbleisha) by playing fun games. The Lil’ Shoppie lets you know what she is thinking by a bubble appearing over her head and you must move the Petkins around to make them happy. 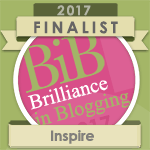 Once you have done this 25 times, and collected 25 Happy Place notes, you receive a parcel containing three new Petkins! You can also take part in House Goal challenges to win more Happy Place notes. I love that there are so many ways to really interact with the game and the girls were desperate to collect as many Happy Place notes as possible to win more Petkins! Although the app is free, you can make further purchases at £1.99. This gives you new collectible items and a mystery box of give items. It’s the same idea as a blind bag, something which my children go crazy for, and having made further downloads they couldn’t wait to see what they got! I love that you don’t get any duplicates so there is always new and exciting items to decorate your Happy Place Home! As a parent I was happy to see the parental controls where you can sent the game between 10 minutes up to unlimited play. Although we do allow the children to play on the iPads occasionally I am careful to really monitor that time and this is a great way to do it! 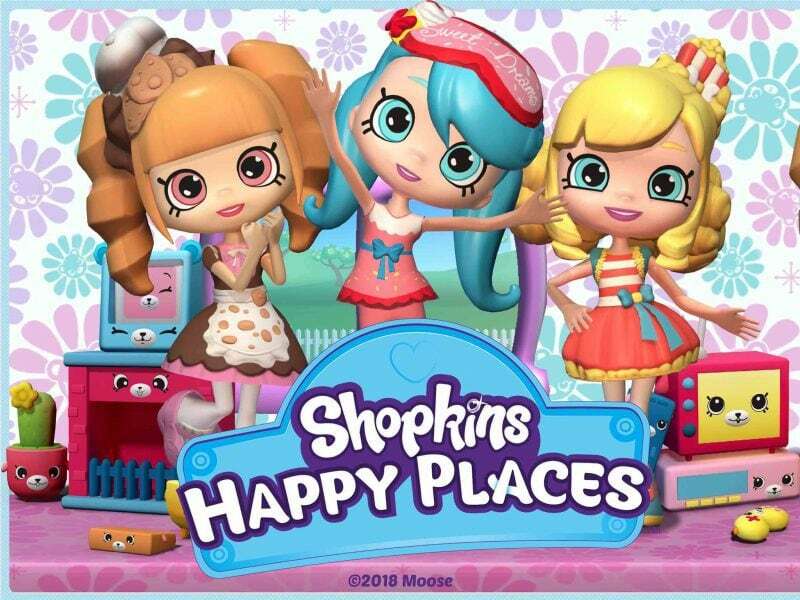 You can download the Shopkins Happy Places app here, it is currently only available on Apple devices. 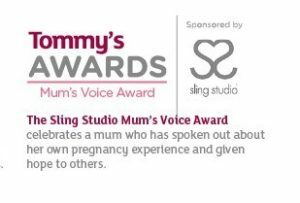 Find out more about the app via the video below! Previous Post: « Am I number 5? I love that you can not only set the parental controls to limit their time on the game but that it is also free. Although it’s good that you can purchase extras if need be. This looks a great app! Can see it doing well with a bit of pester power! I like the sound of a free app. 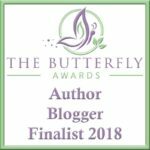 Will see if my daughter likes this. Aww this looks like a fun game. It is great, that it is free and that you can purchase if you like it 🙂 Lovely bright colours. my little girl is a huge shopkins fan, so this app looks great for her. I too especially like the fact your can use the parental controls to set time limits etc. Now just need to wait for it to be available on android too for her tablet. thanks for sharing .